no loss of signal, at speed. Again, I thank you for all of the tips and information you shared with me". system to say the least. That's coming from someone who knew "squat" about installing these things, but the system made it easy". SternMate™ meets many needs and finds its home around the world with owners who love their boats. 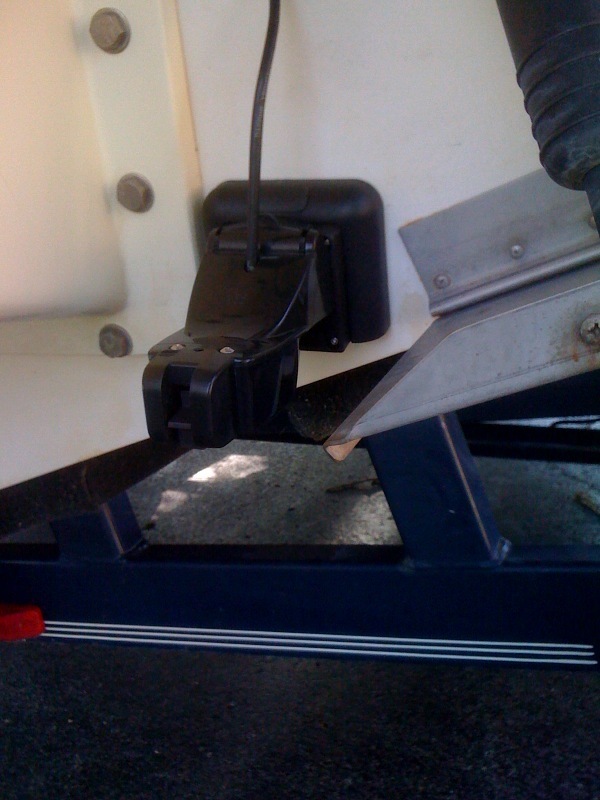 "Just installed the [Sternmate] on my kids Whaler last night. Follow the directions very closely and take your time and you end up with a very professional looking job. 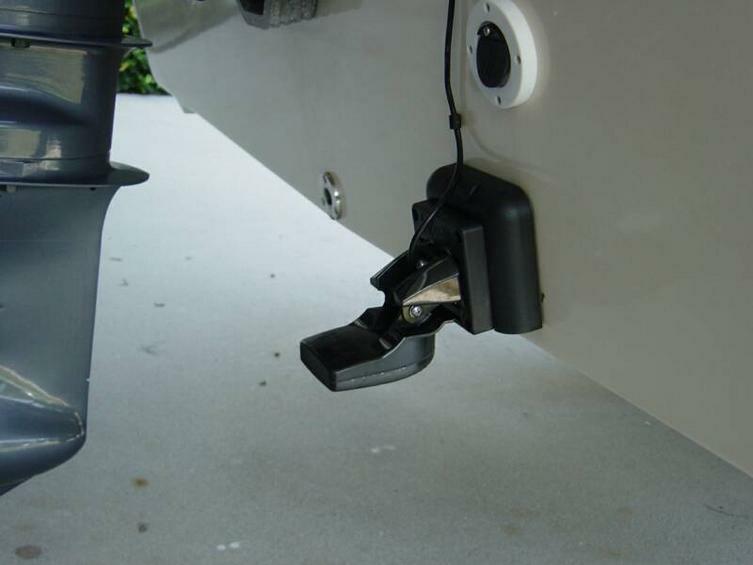 Allows for adjustment of the transducer after installation, and best of all no holes in the transom Well worth the (investment) in my opinion". I was able to install the product (SternMate) and I am very impressed. I have a Tracker 175 Targa Sport and did not want to drill additional holes for a new Side Imaging unit I installed. The install was easy and I found the directions were very clear. If I ever purchase another boat I will be a return customer. Thanks. 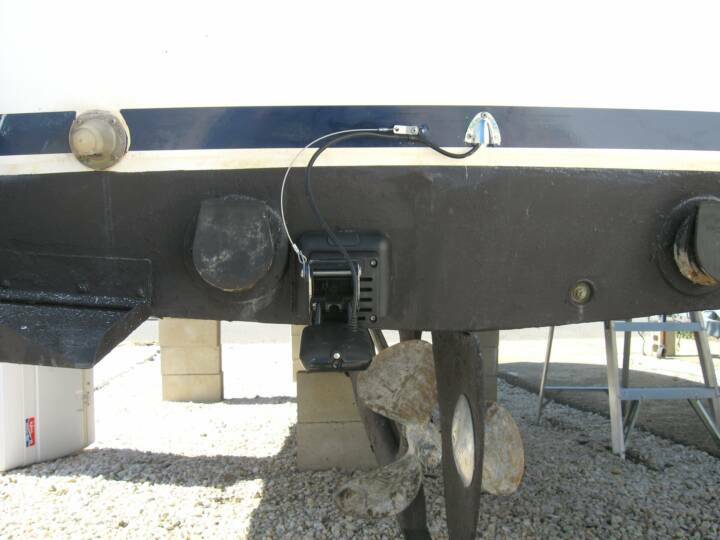 "I recently got an 898 and due to the configuration of my transom had to run two transducers with a y cable. I used SternMates to mount them and just love it. Pretty much infinintely adjustable to make sure you get the best possible resolution and very easy to install plus no hole in the boat. To add to all that they are right here in Texas. Very friendly people to deal with with a fine product that makes everything look very neat when installed. I am also not affilliated with them in any way, just a very satisfied customer in an age where most things do not live up to expectations". 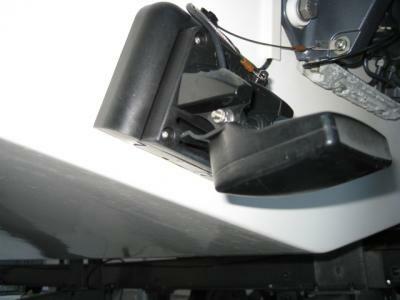 "No holes are drilled into the transom when using the Sternmate. Butter back of interior mounting plate with 2 part epoxy and attach to 91% IPA cleaned transom. Let sit for 15-20 minutes. Then marry outer mounting plate (with transducer attached) to interior mounting plate. No screws penetrate the hull. That is why I purchased the plate, to avoid holes in the foam filled Whaler hull. Checked on epoxy mounted plate this morning, and you could stand on the thing and not have it move When assembled, the Sternmate looks like part of the transducer package, and gives a clean and professional looking appearance. 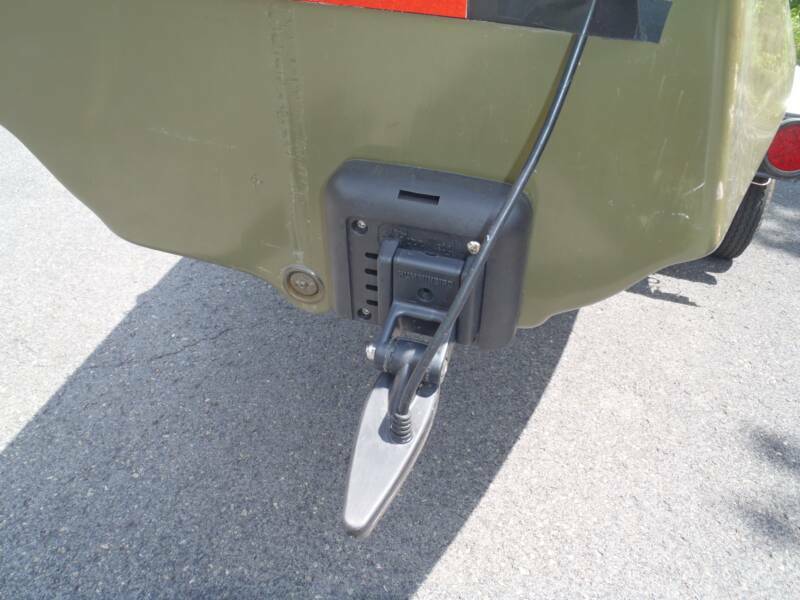 Again, the advantage to using the product is there are no holes in the transom, and you have the ability to adjust the transducer up, down, and sideways to achieve your best sonar performance after installation. Can't do that with a piece of Starboard, or any other fixed plate". 597ci HD DI worked great. 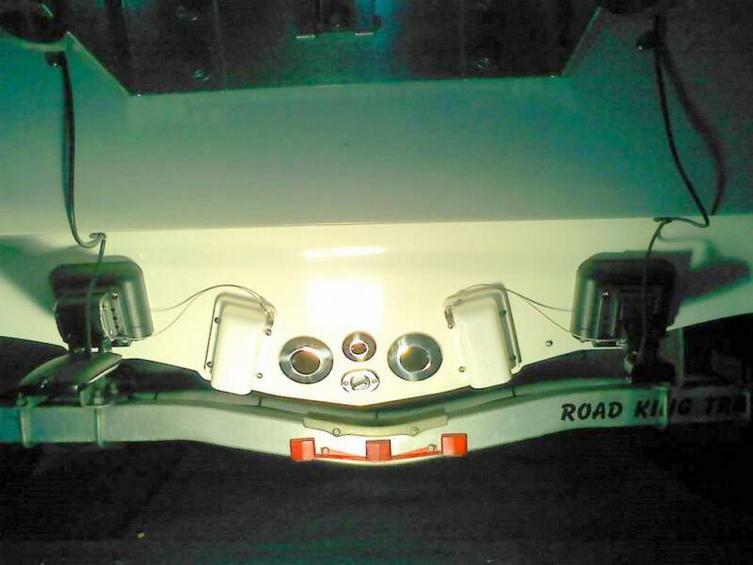 No problem reading depth at all speeds and no rooster tail. And its glued on... no screws!" 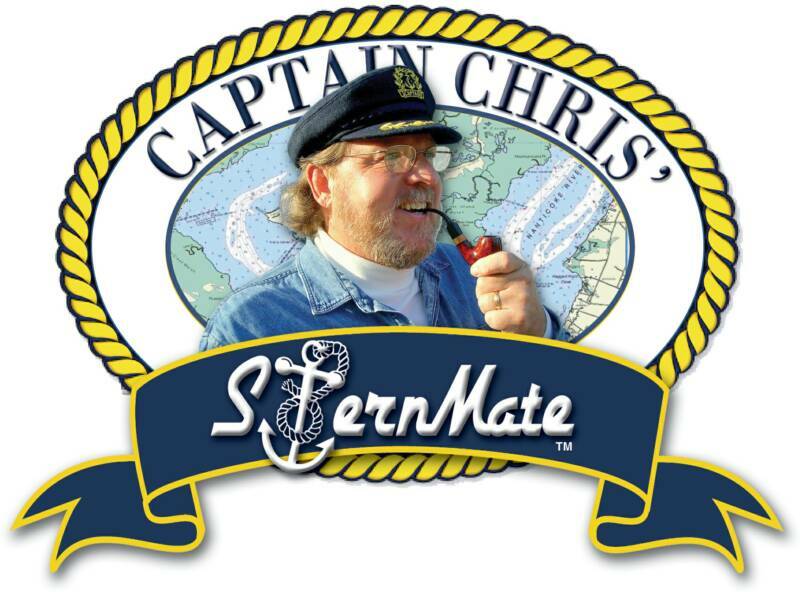 "Captain" Chris I would like to thank you for an incredible product [SternMate] that actually does what is is supposed to do. The pictures are of my 1996 Boston Whaler Dauntless 15. I've thoroughly tested the set-up and it has worked awesomely. needed. The set-up has not encountered any signal interruptions traveling at speeds greater than 40 mph". she expects to be waxed and polished every other week. She’s “Star struck". Thank you for a great design and product". "My SternMate was such an easy installation. Like the instructions said, "take your time". Everyone knows that transducers can be very difficult to adjust and change out having to drill new holes, but SternMate has taken all of that headache and worry away. 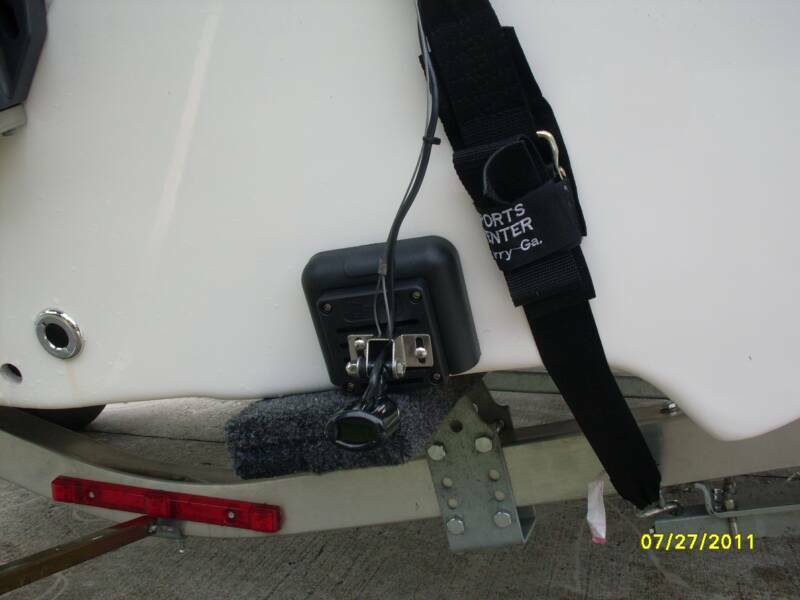 It just is not worth ruining your boat to mount a transducer. Adjustments are easy and I am amazed at my ability to mark bottom at speed. Simply put, SternMate is such a unique product and every boater should be using one. It just makes good sense." "Every hull is different, but I had an amazingly good result after I used a SternMate mount with the stock HD sidescan transducer on my 22' Grady White. This did 2 things: it set the transducer back a few inches from the transom, which put it in cleaner water. It also let me fool around with a wider range of position adjustments than I could have done with the transducer screwed directly to the transom". 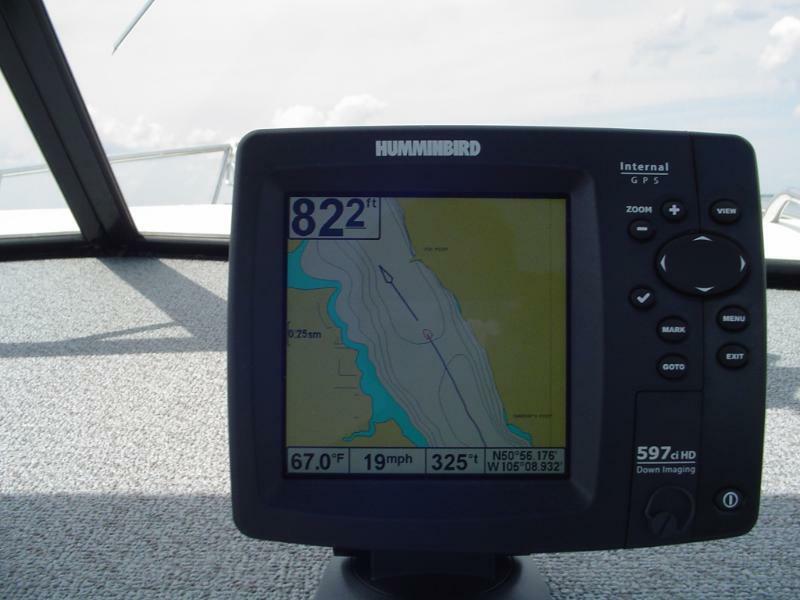 "Before I added the SternMate, I would lose bottom at anything over 10 mph. Now I can track bottom at WOT (45 mph) at depths out to 50 ft". 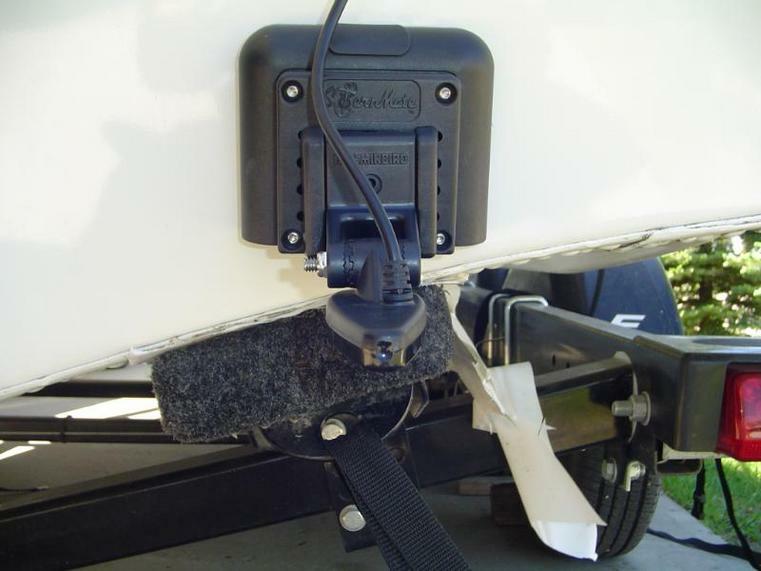 "I have a through hull mounted Airmar B60 transducer as well as the transom mounted Humminbird. While the AirMar is better for bottom definition as slow speeds, it can't track bottom at speed nearly as well as the stock transducer with the SternMate". 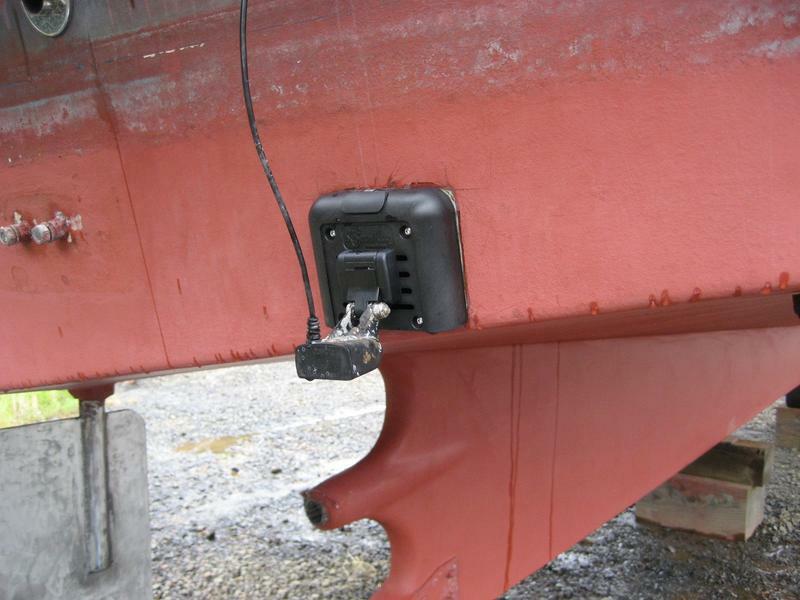 "It isn't all about screw-hole damage, leaks and boat devaluation, it's also about effective transducer installation, management and getting the most from your marine electronics". smooth water, never could do that before, maybe 8-10 knots at best. I only had to make a couple of minor adjustments. I really believe if I play around with my transducer a little more I can even do better". "Just wanted to thank you for a great product. Need a reference, I would be happy to anytime. "Taking your advice and playing around with my adjustments, I have been able to read bottom up to 35 MPH [now], on my 23 Jones Brothers Bateau. As an owner of several of these boats, it is a feat I have never been able to achieve before. Thank you for a great product!!!!!!!!!!" T. Allen New York "SHALLOW MAGIC"
location and the use of his LSS-1 electronics. and Hunting show again next winter". 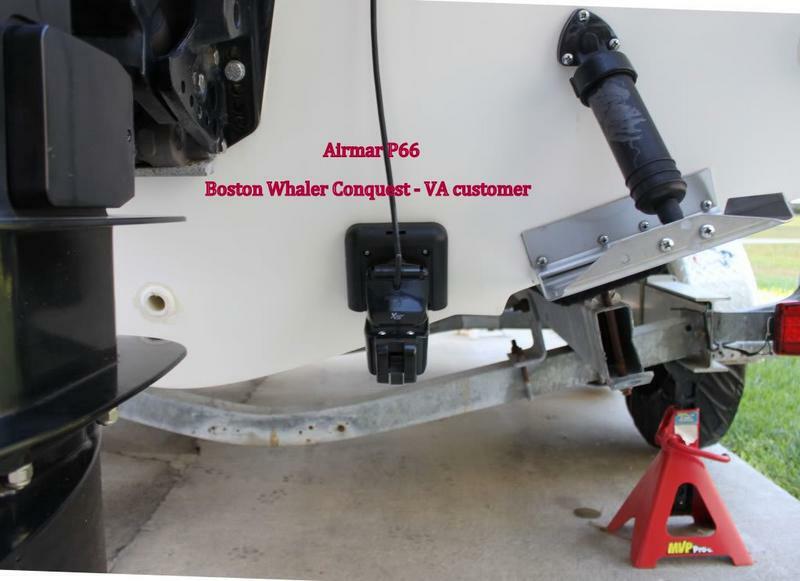 "It's amazing just how universal the SternMate transducer mounting system has been designed. 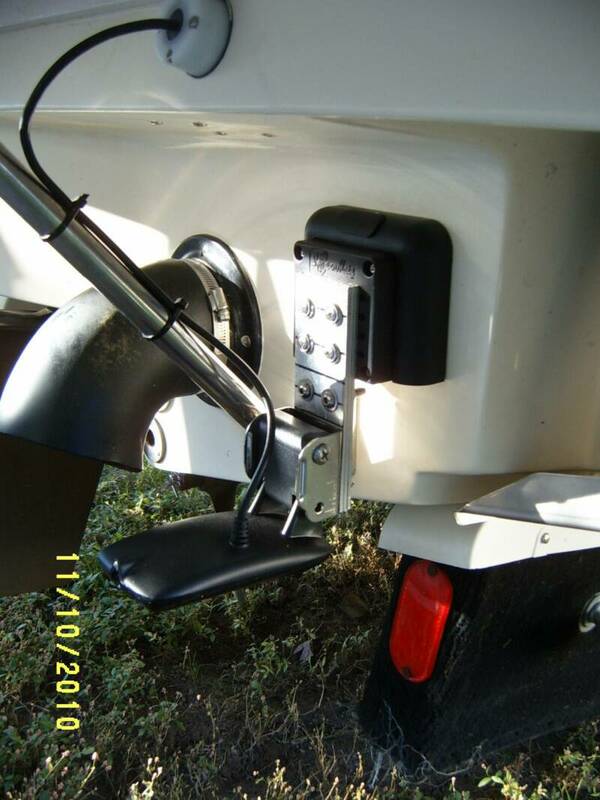 There is an add-on bracket for every transducer mounting idea a boat owner could possibly think of. 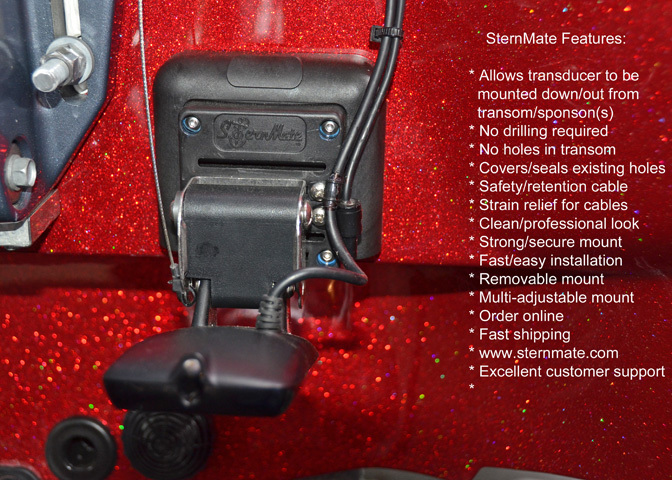 SternMate should be standard equipment on every boat...and no screwholes". Smokercraft Milentia - Lowrance "SKIMMER"
"SternMate™...solidly attached to the transom of my aluminum Smokercraft Millentia. Thanks for this product. It beats drilling holes in the transom". running surface on this congested transom. 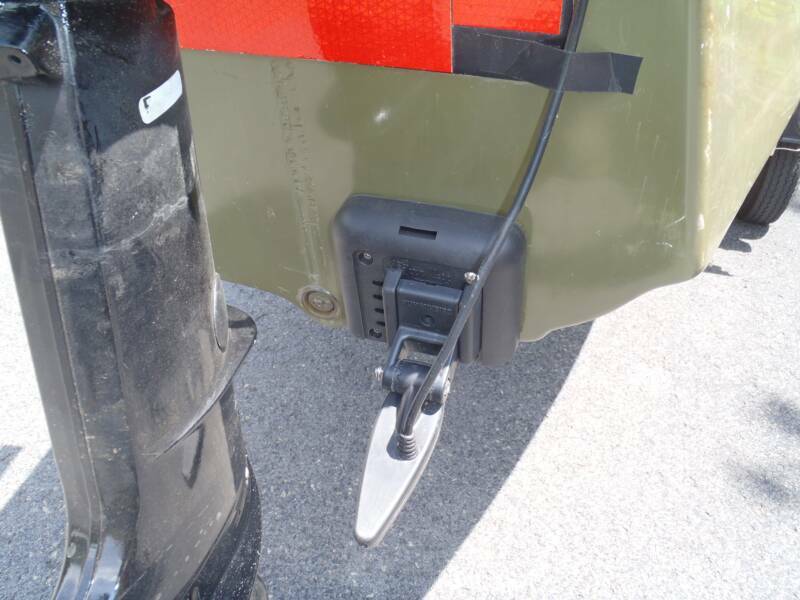 Customer easily optimizes the signal of his Humminbird Si transducer. Big or Small...SternMate does it's job! enough room for the motor to turn." Plate] on my Carolina Skiff 198 DLV..
(like I did). Not only is it functional..it's good lookin". 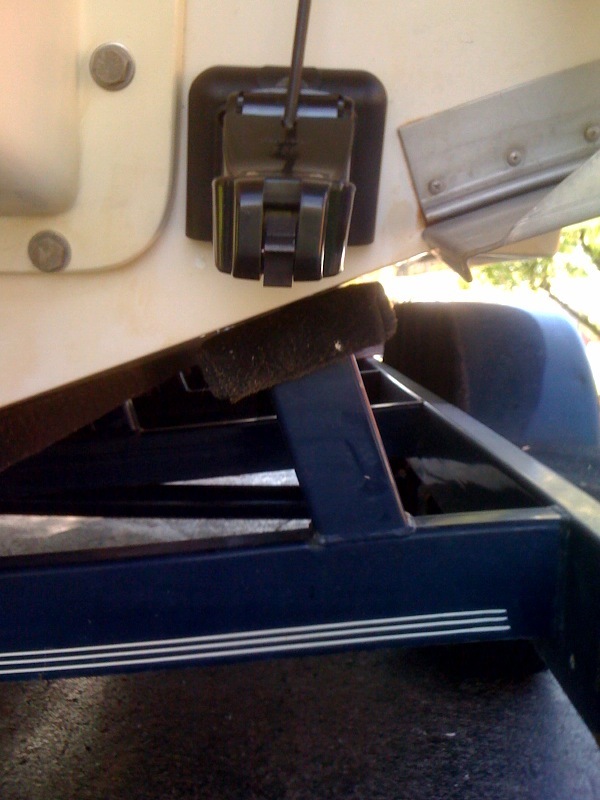 They [SternMate™] set the transducer back a few inches, sort of like a jack plate, which lets it run in [cleaner water] than right off the transom.